Sapporo is the fifth most populous city of Japan and the capital of Hokkaido. It’s a location bustling with tourists from around the world every year who come to enjoy its lush natural environment, fabulous food and amazing art. The city also has a whole range of popular sweets and desserts. Here’s our list of 6 of them you have to try when visiting Sapporo. Saturdays Chocolate Factory Cafe is a local chocolate brand that started in Sapporo. They delicately craft chocolate in chocolate using carefully selected ingredients from around the world. The shop interior is stylish like that of a general store, with chocolate decked out in cosmetic-like packaging. Enjoy a variety of chocolate and drinks sat at the counter or on the benches. KANON PANCAKES is a popular pancake cafe that opened in 2012. The cafe has a high ceiling and a relaxing space with table seats and window seats where you can enjoy yourself even on your own. Their pancakes will satisfy your belly and are the perfect picture for your Instagram feed. They have a range of different pancakes to try, so tuck in! This spacious cafe has huge bookshelves lining the interior just like a bookshop with books on world travel and more. Displayed on the walls are illustrations of famous figures. The cafe is so relaxing you’ll want to stay there for a lengthy period of time. Enjoy a cup of fragrant coffee and pick from a line-up of delicious sweets or something from the food menu. They also offer a book borrowing service that lets you keep the book for 2 weeks, so if you couldn’t finish the book you were reading in the cafe then take it with you! The Sapporo branch of Rokkatei is just a 5-minute walk from the south exit of JR Sapporo Station. They are famous for their crispy biscuit snacks called Marusei Butter Sandwich which they also have an ice cream version of. This version is made with vanilla ice cream, white chocolate and raisins. This dessert can only be eaten in the Sapporo and Obihiro branches. This mochi shop uses komochi from the city of Nayoro in Hokkaido, a white, chewy kind of mochi that doesn’t dry out and get hard easily. They are made with adzuki and black soy bean both from Tokachi. They stock a whole range of different mochi using ingredients from Hokkaido, with prices starting at a resonable ¥140. They also serve matcha for ¥200 when you eat in, meaning you can kick back and enjoy some authentic traditional Japanese confections. 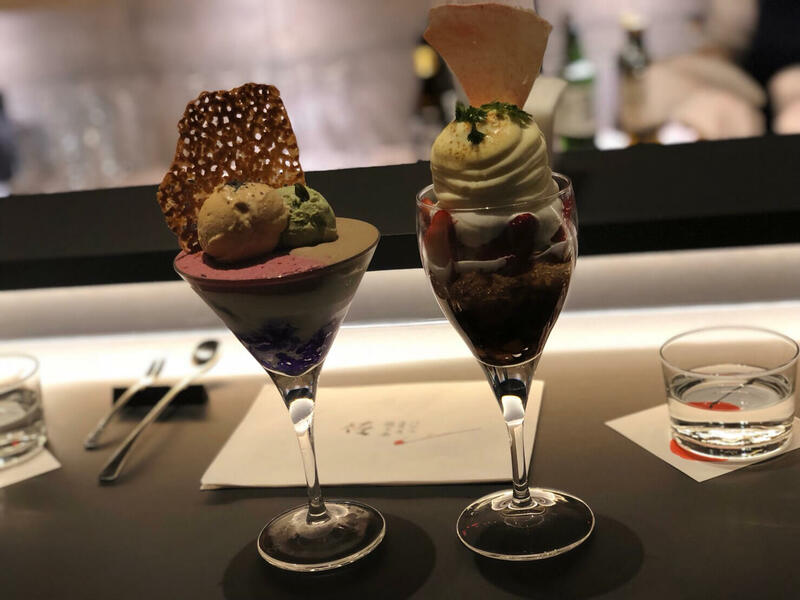 This bar style shop is open until 2am where you can enjoy sake together with a parfait. Their sweet parfaits are irresistible, combined with pear and yogurt. It’s the sister shop to the restaurant Risotteria GAKU which has boasted popularity for 10 years in Sapporo and Asahikawa. If you’re a fan of parfait or even of Risotteria GAKU then you’ve got to eat at Parfaiteria PaL. Did you enjoy this list? Which do you want to try the most? Be sure to check out these places if you’re in Sapporo!